A new report finds 15-minute resources like energy storage and demand response are crucial for balancing wind and solar. The Western U.S. power grid could use a lot more 15-minute energy resources to help it bring more solar and wind power on-line. And that's a job that batteries, demand response, and quick-start generators can do a lot better than big fossil-fuel-fired power plants. 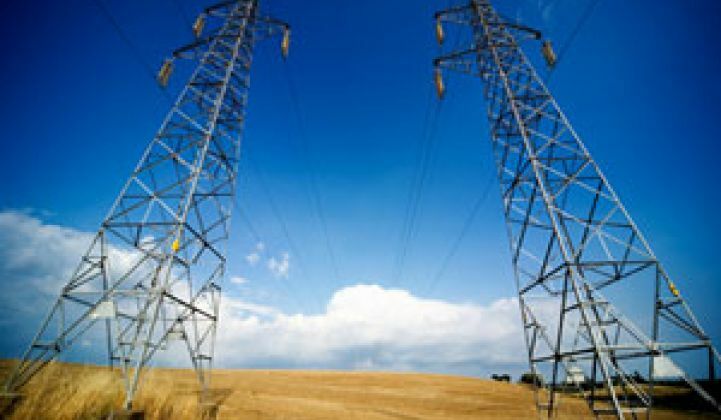 That is one of the key findings of a Lawrence Berkeley National Laboratory inventory of the flexibility needs of utilities and grid regions west of the Rocky Mountains. Released Tuesday, the report (PDF) finds that the region can expect to be relatively well supplied with multi-hour ramping capacity to cover predictable changes in supply and demand expected to come with more wind and solar power. But resources that can change their energy profiles within 15 minutes -- the kind called in to cover surprise changes in long-term forecasts, or in case of emergencies -- are in far shorter supply, the report notes. That’s largely because big power plants, which supply the vast majority of flexibility today, just aren’t well-suited to reacting or changing direction quickly. LBNL’s report doesn’t get into the economics of different flexibility resources; nor does it presume to tell grid planners how much new flexibility should be added. “The flexibility supply is more of a reliability-focused metric than an economic metric,” wrote the authors. But the report's findings appear to back up the general push toward policies that reward grid resources that can move more quickly to mitigate grid disruptions. The most important regulation on this front is the Federal Energy Regulatory Commission (FERC) Order 755, which since 2012 has mandated that the country’s grid operators institute programs that pay extra for fast-responding assets like energy storage. The report looks at flexibility supply, or “the capability of generation or demand to change in response to system conditions over various time scales relevant to power system operations,” in 15-minute, one- and six-hour, and 36-hour periods. Importantly, that’s “both in the up and down direction,” which means that sometimes grid operators need people to use more energy, or generate less, rather than have them use less and generate more. These figures are for conventional power plants, which serve the vast majority of today’s flexibility needs. But power plants have optimal operating ranges, and lose efficiency when they ramp up or down, which limits their cost-effective application for sub-hourly needs. They’re also typically committed to meeting predicted needs, which leaves them unavailable for dispatch to cover any mistakes. Energy storage, in contrast to power plants, doesn't have to cut its nameplate capacity in half when it’s offering flexibility. Demand response can also shift up and down, but not all of it can do so on short notice. LBNL’s study only includes programs with notification periods within the 15-minute or hourly timeframes as flexibility. As for flexibility committed in advance, such as day-ahead demand response resources, it can’t be relied on for flexibility to meet the report’s worst-case demand moments, when “the worst ramp and the worst forecast error can occur simultaneously,” the report notes. To round out the inventory, LBNL added the current and projected resource and demand figures for a set of Pacific Northwest and Southwest utilities, as well as for bellwether utilities Puget Sound Energy and NV Energy. Plotting out the expected effects of wind and solar intermittency on flexibility demand is its own challenge. The LBNL report used “parameters estimated from several highly detailed generation and uncertainty datasets, augmented by parameters in the literature.” The end result is a projection of how much flexibility, at different durations, that each group or utility will need over the next 15 years. The Pacific Northwest has lots of hydropower and wind, while the Southwest mainly relies on fossil fuels, with a growing share of solar. That makes for significant regional differences in LBNL’s projections. 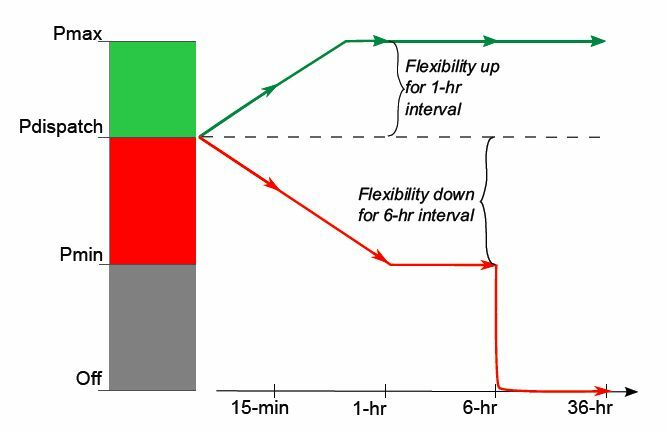 But in all cases, “the flexibility interval with the lowest ratio of flexibility supply to flexibility demand, the binding interval, is 15 min. in the up direction,” the analysts wrote. That’s when generators are assumed to already be committed to meeting peak demand, and 15-minute load increases and wind and solar decreases are looming in the immediate future. 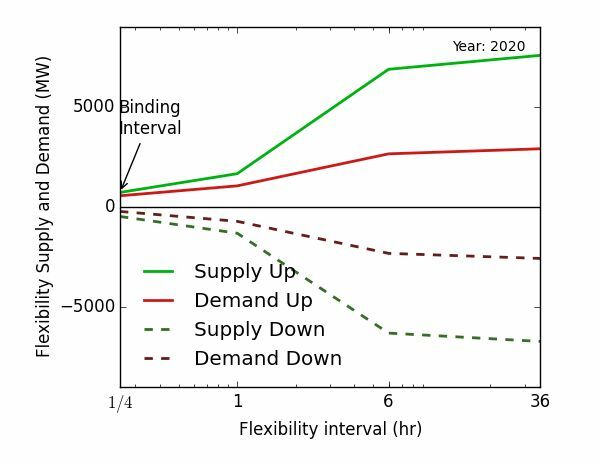 Even so, “The decreasing binding flexibility ratio suggests that additional sources of flexibility supply may be useful in the future. In these cases, the sources of flexibility that will be most helpful are those that can provide flexibility in the up direction in a short amount of time," concluded the report.